Entrepreneurs are used to working on the mechanical aspects of their business. They focus on sales processes, fulfillment, marketing methods, and tactics. But they struggle to achieve the kind of exponential growth that results in a six- or seven-figure business. Malorie Nicole helps today’s entrepreneurs get rid of the blocks that keep them from getting more fulfillment and profit out of their businesses. Her clients include marketing specialists, agency owners, copywriters, and business coaches. Malorie’s mindset growth process avoids the tactics that entrepreneurs don’t really need. Instead, business owners need to look at all the junk that’s blinding and keeping them from seeing what really needs to be done to achieve success. There are telltale signs that you’re carrying too much junk. If you’re going to bed freaking out about your business or waking up stressing about it no matter how much you’re making, then chances are that there are a lot of things that need to be eliminated before you can achieve real and lasting growth. Entrepreneurs often find that the stress they’re experiencing can be a result of not achieving the success they’re after. But it could just as easily come from achieving too much success. Our minds perpetuate stories about the things we do and the reasons we do them. 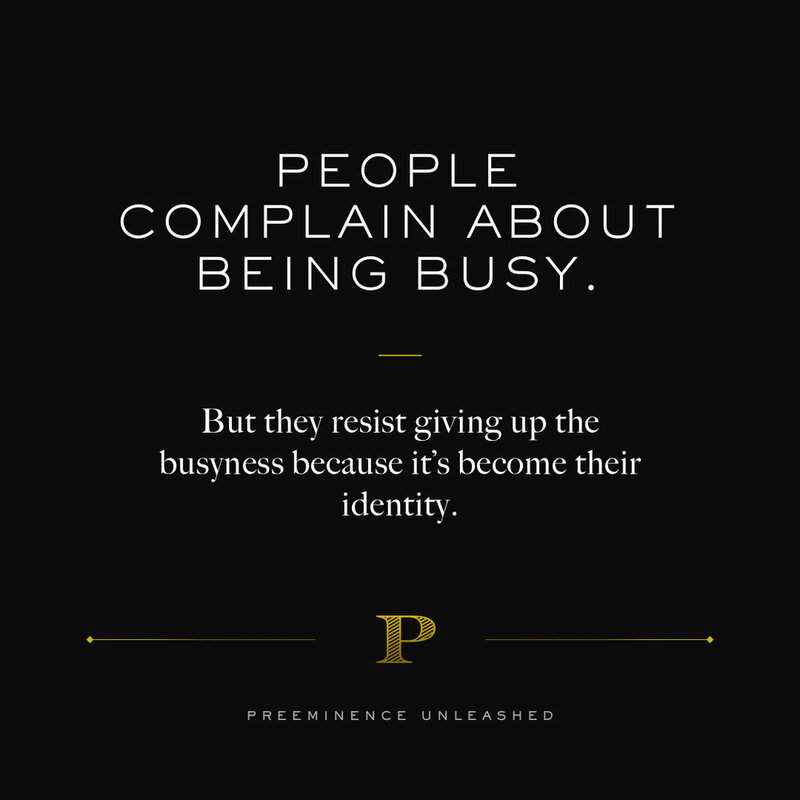 Many entrepreneurs create an identity around “being busy.” They resist letting go of that identity, causing them to spend time and energy on things that don’t actually move their businesses forward. As an entrepreneur, it’s impossible to separate business and life. But many business owners convince themselves that everything will fall apart if they don’t show up. This can keep you from making the right decisions and taking the actions that support your business goals. Modifying behaviors is the first step to creating change in everything you do. There are countless courses available that are designed to help business owners build successful companies. But most of them focus only on the mechanical side of entrepreneurship. In addition, they try to offer all the answers to business problems. But when you base all your decisions on advice from others, you don’t use your own resources or empowered thinking to figure out what you need to be doing. Successful entrepreneurs are those who follow instructions while coming to conclusions on their own. Blanket recommendations don’t work because everyone has different challenges, growth opportunities, and gifts. Rather than ask the “how” questions, you’re better served by asking the “why” questions. When you don’t ask these questions, you disconnect yourself from the intention of the actions you need to take. This leads to resistance to growth and stifles your creativity as an entrepreneur. Beliefs around money can interfere with your ability to build and grow a successful business. How much do you believe you can make? Have you convinced yourself that you’re only capable of earning a certain amount of money? Your experiences cause you to develop beliefs that create a self-imposed money ceiling. Your parents’ relationship with money can influence the beliefs you have around your ability to build wealth. Entrepreneurs need to be honest with themselves about the beliefs and fears that are holding them back. What beliefs are showing up for you? How did you form those beliefs, and are there any situations where those beliefs don’t apply? When you discover that your beliefs are limiting your growth, you can take on new beliefs that contribute to your business success. You can learn more about Nicole at abundantlyclearcourse.com.